Posted on March 3, 2016 by Editor Posted in About Singapore	. 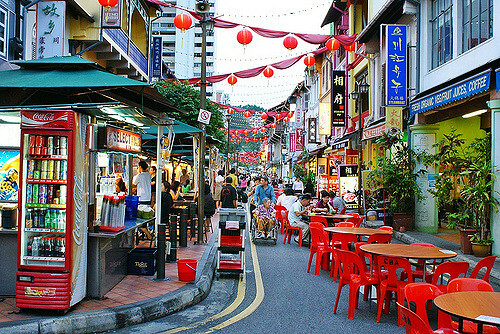 China Town, perched in a bustling city, is one of the spectacular places to go to in Singapore as it offers an escape from the humdrum of a busy life. What’s amazing in this place is that this isn’t just your usual mini-version of China recreated to satisfy the curiosity of Singaporeans as well as the tourists that visit this country annually. 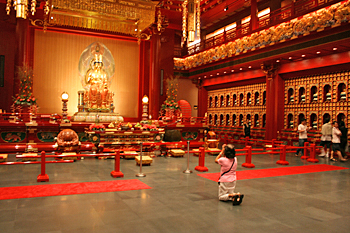 You might be surprised to know that aside from the ornate traditional Chinese temples that we see in movies, you can also find Hindu and Buddhist temples here. It’s quite interesting how Singaporeans respect different cultures, traditions and religions, making it a part of our own. Well, why don’t we check out some of the coolest things that we can actually see here in Singapore’s China Town? It’s said that the best things in life are free, well then good news because Singapore’s China Town offers a lot of things for free. Yes, you have actually read that right. It’s absolutely free of charge to visit these places and see their magnificent beauty right before your very eyes. If you are burning with curiosity about Buddhism or it just piqued your interest along the way then you may want to spend your free time meditating while learning in this place. Do you to be enlightened about Buddhism? Well, ask no more because in this temple you’ll find various collections of Buddhist statues from all over Asia like China, Japan, India and other Asian countries. Aside from that, if you’d like to learn more about the history of Buddhism, this place also displays a lot of artifacts about it as well as some other Asian culture that you might be interested about. But wait, there’s more—you wouldn’t want to miss catching a kaleidoscope of colors, would you? Then, you would absolutely be astonished at the sheer beauty of a variety of orchids resting on the top most part of this building. Climbing a five-story building just to reach its peak is definitely worth it. You may have noticed that the name of the temple itself does not sound like Chinese so it is most certainly not Chinese. 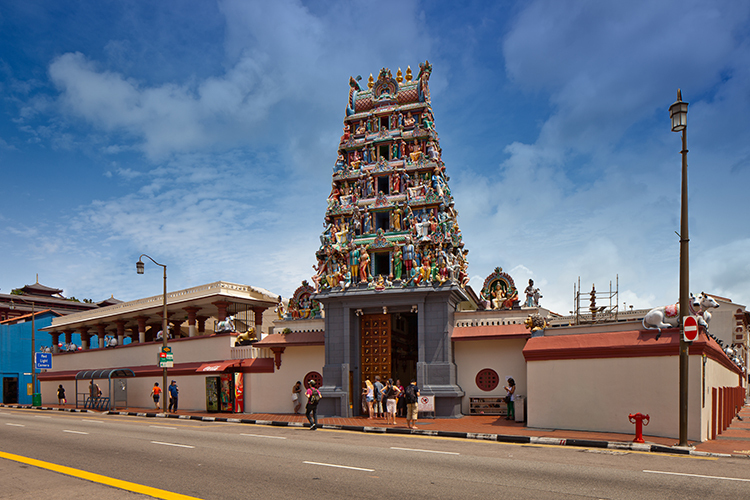 It is a Hindu temple found in Singapore’s China Town. What sets this apart from other Hindu temples found in Singapore is its age because it’s the oldest one you’ll ever find there; for it has existed since 1827. You don’t want to miss this temple because you would surely be pleased with the building’s architectural design plus it also known and published as a National Monument so it’s a must visit place once you get to Singapore’s China Town. The ornate and elaborate details found in the building are so stunning that you might find it hard to believe it actually survived the test of time. On top of that, even though you may not be a Hindu or a worshipper of a sort, you will also find a lot of interesting sculptures that will take your breath away such as majestic deities and mythological beasts in this place. These are just two of the best temples in Singapore’s China Town. There are still more waiting for you. What are you still then waiting for? Check this awe-inspiring place and be astonished for yourself.